TL; DR: The Canva platform aims to make graphic design accessible to everyone with its ready-made templates, layouts, and drag-and-drop features. Rather than a tool for expert designers, Canva is on a mission to help users at any skill level — including those who don’t know how to navigate complex design programs — quickly create standout graphics. The platform provides a simple interface and intuitive tools to help users complete projects while saving time and money. And Canva offers beautiful templates for everything that individuals and companies may need to design — including résumés, business cards, websites, and compelling social media posts. Even though graphic design has become ubiquitous — and necessary — industry tools are still built for design specialists with extensive training and years of experience. In an online world increasingly focused on visuals, those who need to design graphics often must resort to using programs with limited features that weren’t meant to produce high-quality results. But Canva allows users of any skill level to design and customize eye-catching graphic design projects. And while a few other services offer individual tools, Canva differentiates itself by consolidating them into one powerful platform. “Many companies offer desktop design software, downloadable stock photography, or graphics and fonts, but Canva is the first to bring those all together,” said Liz McKenzie, Canva Head of PR and Communications. Canva’s and its design tools make it easy for anyone to execute their vision. But the platform, which launched in 2013, also offers enough customization options that skilled graphic designers won’t be bored. The platform has helped users create more than 1 billion designs, and more users are seeing its value, as it can make websites, posters, flyers, and infographics more exciting and visually appealing. Canva provides functionality that not only translates to any skill level but to nearly any language and culture. This versatility is evident in the company’s growth, as it now has more than 15 million monthly users throughout 190 countries. The platform is available in more than 100 languages, including Arabic, Urdu, and Hebrew. The types of individuals who use Canva also varies widely, as it is made for everything from personal design projects to marketing campaigns for businesses — including advertisements and social media promotion. Canva also supports more than 25,000 non-profit organizations around the world that can use its tools and services for free. Canva is an affordable alternative to design software and platforms that cost thousands of dollars to download — and can also take thousands of hours to master. “At its core, Canva is a drag-and-drop designing and publishing tool that has been created to be incredibly user-friendly,” Liz said. According to Liz, Canva has experienced such rapid growth because it filled a need that novice users had to complete graphic design projects on their own. “We are solving a genuine problem. We give people the tools to design themselves, and it has sparked a worldwide conversation,” she said. Canva’s first objective was to make the interface simple, which increased accessibility to the product. Rather than requiring users to read a manual or take a class — as some other graphic design software requires — Canva is easy enough to use immediately. “Our vision is to empower everyone to design anything and publish anywhere,” said Liz. 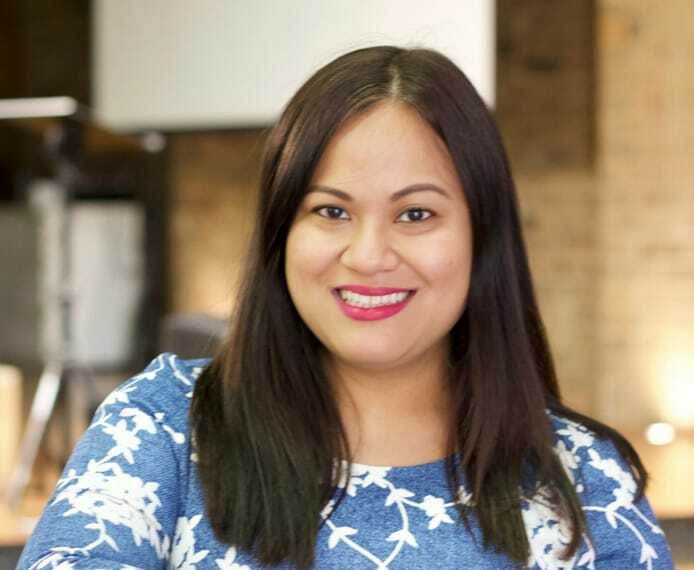 Canva Head of PR and Communications Liz McKenzie spoke with us about the platform’s usability. To begin, Canva users select the type of project they need to create. For example, if a user wanted to design a business card, he or she could start by choosing from the many business card templates available. From there, users edit the text, add elements including shapes, grids, backgrounds, or even a personal photo. Once a design is completed, users can print, publish, or upload it as they see fit. To that end, users can deploy Canva’s tools on many different devices — including desktops, tablets, and even smartphones. “Our focus is on creating an entirely new kind of design software — one that is simple and intuitive — rather than replacing the existing options,” Liz said. And Canva’s commitment to novice designers extends beyond its products, as the company actively teaches users principles of the craft. Users can turn to Canva’s blog to find quick tips on topics that range from the best professional fonts to use to how marketing funnels work. And for those who want more in-depth information, Canva Design School curates a collection of presentations, tutorials, and how-to videos to guide them through any project. Canva has gained popularity because almost every professional can benefit from using design to make their projects stand out. “Everybody wants a great design for their next sales presentations, marketing materials, pitch decks, proposals, or social media graphics,” Liz said. Teams of all sizes also use Canva to create a consistent brand identity across multiple media channels. They can keep the same logos, colors, messaging, and tone across numerous projects, including letterheads and presentations. 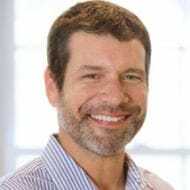 “Throw in seasonal content, promotional content, and of course, personalizing that content, and there’s a ridiculous amount of pressure to create high-quality visuals,” Liz said. Canva combines powerful graphic design tools with an intuitive interface to help users quickly create stunning visuals. Nonprofits can use Canva’s tools for free to share their stories through social media campaigns that drive donations, as can many schools that are increasingly called on to teach visual literacy. Anyone, from any organization, can use Canva, not just those on the marketing or sales teams. This openness allows everyone from the company to feel more invested in — and less intimidated by — creating their own materials. “Core to our vision is Canva will always be easy to learn, even as it becomes more developed and established,” said Liz. That is apparent in the simple tools that Canva provides to ensure every project looks beautiful. “We want to build our users’ confidence, their sense of play, and faith in their own design abilities,” Liz said. Because it was founded to democratize design, Canva continues to innovate its offerings based on user need. The platform also provides many of its templates and tools for free. Users can work with many of Canva’s templates and features at no cost, and only pay if they want to unlock certain features including premium templates and folders for organization. Though Canva has already seen success in its first five years of operations, Liz said the company has only achieved 1% of its long-term vision. Luckily, it has created a company culture aligned with achieving that vision. And team members are actively tasked with coming up with projects — and products — that offer value to Canva users. “Quarterly, every team gets to share their successes from the previous season and pitch their new goals for the software in front of the whole company,” Liz said. 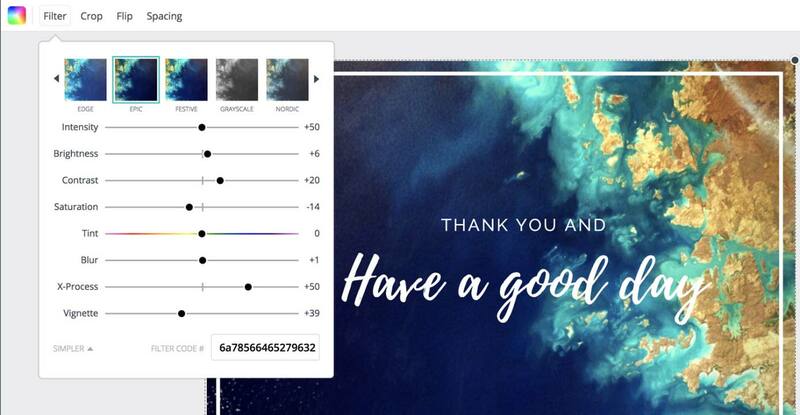 Some new features that employees have pitched include the popular Canva Print, a service that professionally prints Canva-designed projects and delivers them to users. “Canva Print is now available in 44 countries, which gives designers the chance to have hard-copy, professional-grade prints delivered,” Liz said. And while Canva has already found plenty of success in providing novice designers with the tools they need to create stunning visuals, the company still has plenty it wants to achieve. “There’s so much demand for Canva across every market and industry that we now have an immense road map of products to deliver,” said Melanie Perkins, CEO and Co-Founder of Canva.